Had the pleasure of seeing a 10 ft. mature specimen at a local nursery this spring. It was featured in there Japanese Maple event. Nearly everyone that saw it fell in love with it. Unfortunately it was priced right $1,000 dollars which curbed the more prudent collectors like myself. The foliage holds true on the entire tree from the new to the oldest leaf. and its a thick lush upright grower. 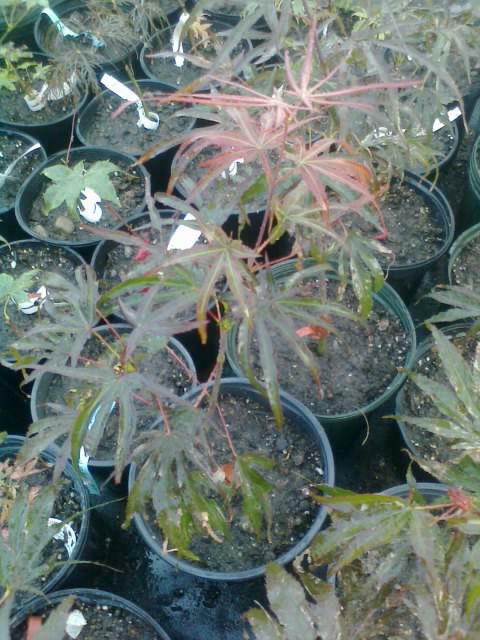 I've grow Japanese Maples for 30 years now and even patent one. This is uniquely beautiful specimen for any collector to display.